The Cube Nuroad bridges the gap between road and gravel, resulting in a machine that is perfect for those who love an adventure. A nimble, go anywhere bike, it is designed to soak up whatever the road throws at you. 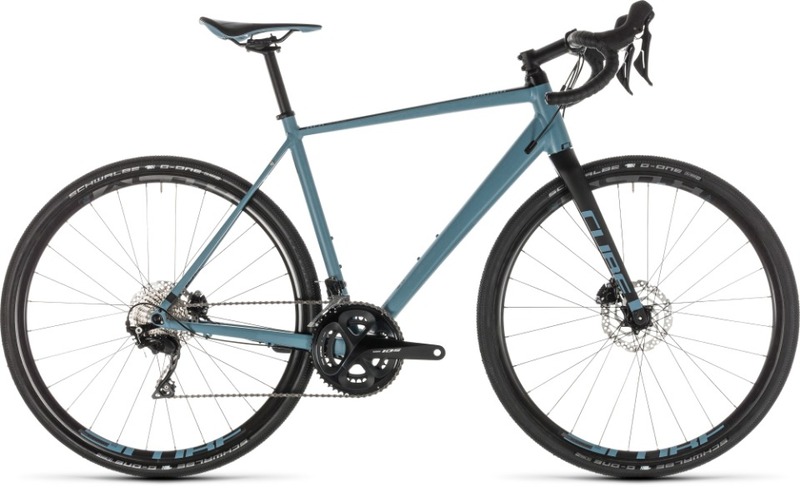 The bike has a super light aluminium frame with a carbon fork allowing for a more comfortable ride, especially as the tyre clearance is for up to 40mm wide tyres. It is equipped with a Shimano 105 drivetrain and Shimano Hydraulic disc brakes giving you a reliable bike in all conditions. A Shimano 105 groupset and hydraulic disc brakes, giving you a reliable bike in all conditions. Schwalbe G-One Allround tyres giving you all the grip you need to tackle the gravel paths.